God created all things and although He is high and holy, He desires the companionship of human beings, the crowning glory of His creation. When we examine our relationships with other human beings, we see some parallels between them and our relationship with God. In this guest post, a dear brother in the Lord, Kenneth Paulsen, draws some salient lessons we can apply in our relationship with God from his marriage. God has demonstrated His love for us, the Bible says, by sending His Son, Jesus, to die for us (Romans 5:8). What has been our response to that? The book of Hosea shows how raw His pain is when we turn our backs on Him. May God bless us through this post and bless our brother, Kenneth, and his wife abundantly for contributing this insightful and relatable post in Jesus’ name. My wife, Cristina, and I will be married 6 years this December. I will be drawing analogies from our relationship with each other to man’s relationship with God in this post and present some insights gained therefrom to help us see how we are expected to love God. My approach to the Holy Texts is in trying to understand ideas, so I won’t be quoting book, chapter and verse. This now being understood, may God bless my attempt here to give you something useful to bless your life in a meaningful way. The Creator of the universe, seeing the state of His fallen creation, came to earth to redeem it and make enemies friends. The greatest act of love ever performed took place on a lonely hill with soldiers, thieves and a cross. When I was dating Cristina, a point came when I was willing to express to her my feelings by saying, “I love you.” If she had not said to me in return, “I love you too,” I would have felt very embarrassed. Kind of like someone not raising their hand to meet yours in a high five. Awkward. INSIGHT #1 – God continually tells us He loves us. We need to tell Him how much we love Him too. We do not need to be monks to imbibe and exhibit such discipline, even though it would be to a less degree since we are not separated from the world as they are, having regular jobs and families to care for. But each of us need to reciprocate God’s love by committing our lives to Him much like I did to Cristina when I married her. This we do by accepting Jesus as our personal Lord and Saviour. And then follow it up by spending quality time with Him in prayer and in the word. INSIGHT #2 – We need to commit our lives to God as an expression of our love for Him. True love is not fleeting, it is enduring. Cristina and I were married in December 2011. I was already enrolled in a degree program at a university. But I took one year off from school to give our marriage the best chance before introducing the stress of school to our married life. And even now, I do not neglect her. No matter how busy we are, we will find time to spend with the ones we love, God included. INSIGHT #3 – Spending quality time with God, whether in praise and worship, prayer or word study will become habitual when we love God. We also show love by listening and heeding the words of our loved ones. God does love to hear us express our love to Him but we need to do this not just with words but by living as He requires us to do in His word so that people can see right away that we belong to Him and seek Him too. For example, I started back to school in January 2008 as a Sociology major, and also began to work out at the gym regularly. When I met Cristina, I was 30 pounds heavier and had changed my major to Physical Fitness. We want to look our best to those we love and make the effort to do so. We should do no less for God. Sin makes us look bad. It is unnecessary spiritual weight which we need to shed to look good to and for God. He can help us do this if we let Him. INSIGHT #4 – To look good to God and attract others to Him, we need to shed sin and other unnecessary weight that bog us down spiritually. Also, shortly after our marriage, Cristina, being smarter than me and knowing that I had been a Marine Electrician in the U.S. Navy, suggested that I study in school something that I had experience in. So when I returned to school in 2012, my declared major became Electronics Communication Systems. I listened to my wife and took her advice to alter the course of my education and thereafter my life. This I believe is a solid act of love expressed and displayed. And God has continued to use her to influence and bless my life. Having already completed my general education requirements, I needed only to take the courses required for my major. This I did, one course per semester at a time, leaving me now only needing to take one more class this Fall. I will earn my Associate’s degree this December, our 6th wedding anniversary. When we heed God’s counsel, our lives turn out so much better than when we ignore or disobey Him because He is omniscient and has our best interests at heart. It must hurt God to see us suffer as a result of disregarding His word (which is a way of spurning His love) when we could have things easier. INSIGHT #5 – We listen to God and do as He says if we really love Him. Besides, God knows better than we do and wants only the best for us. I thank you for allowing me to share my love for God with you, and if you are so persuaded, please love God for who He is; the Sovereign, All Powerful, Glorious Lord; and not just for what you think you might be able to get from Him. May we all echo God’s constant “I love you” back to Him because that is the reason He made us: to love Him and to dwell with Him forever. God bless us all mightily in Jesus’ name. Kenneth A Paulsen is a United States citizen, resident in San Diego, CA. Kenneth accepted Jesus into his heart at the Baptist Church his grandparents attended when he was about seven years old. He is an Electronics Technician for a military contractor. 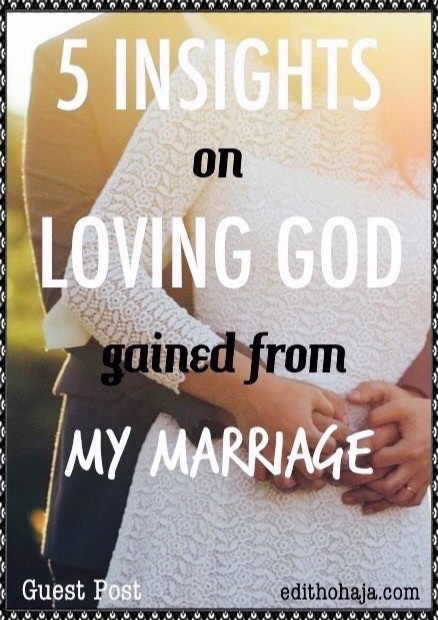 Great post...love the analogy of his marriage to his relationship with God. He is living out His role of loving his wife as Christ loves the church. Enjoyed this post. Thanks a great deal, Cindy! Indeed, He is. God's grace in your ministry in Jesus' name. So much wisdom in this analogous perspective! Thank you. Bless you, Tammy! I appreciate! True love is not fleeting, it is enduring! I loved that insight. One of the biggest lessons I've learned in my marriage is that emotions are fickle. Our relationship with God, our relationship with our spouse, is best viewed long-term. Enduring love! Thanks a whale, Traci! Emotions can fluctuate but when we stick out our commitments, it's better all round. what wonderful and thought-provoking analogies! nice one, ma. Thank you, Iheanyi! You are richly blessed in Jesus ' name. Beautiful post. when we seek God we attract others even our spouse more. 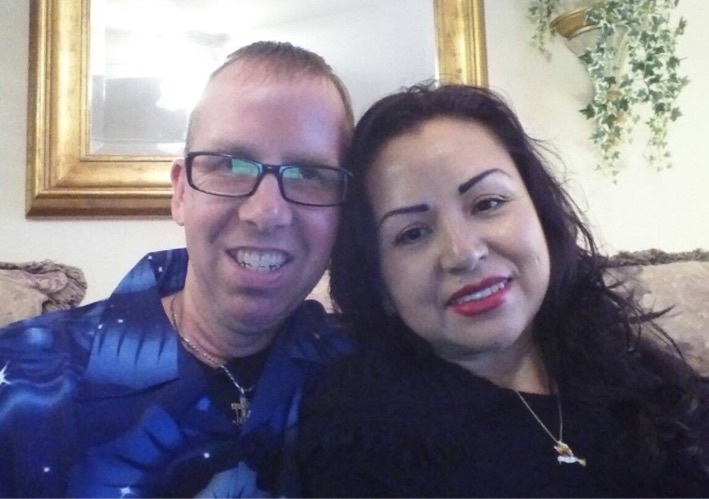 My husband and I pray together and are doing Bible school together. we think it is so important to grow spiritually close together, because then our marriage also becomes stronger and more fruitful. You're so right, Hyla! Thanks a lot for visiting and may God use you and your husband more and more for His glory in Jesus' name. Great post! It is true that everything we do should be out of love to God. It shouldn't be a burden, it should be a joy for the One who first loved us! Thanks a lot, Josephine! God bless your efforts for His kingdom with great fruit in Jesus' name. Indeed ! This is a true expression of love.GOD IS LOVE AND WE HAVE THE NATURE OF LOVE. Our love nature should be a reality through expression . This is what is demanded of us as sons of a loving father. You mean we should express our love. The concern of this post is that we should reciprocate God's love to us. You are blessed! Love is incomplete when it is not reciprocated. bless you ma. The love of God is all encompassing and thus we need to reciprocate in every way we can. thank u ma for feeding us with words of wisdom and of GOD, for any family founded on God can never shake because there must be that love people are striving for there. Glory to God! Thank God too for Kenneth and his wife. This is great ma, the reciprocation of God's love is very necessary.We should obey His commandment, John 14:23 says if a man love me, he will keep my words and when we keep God's words that means we are reciprocating His love. Relating Kenneth's marriage with his relationship with God we will see that Kenneth loves his wife just as Christ loves the church.God bless you ma for this post. Loving God is the best thing that can ever happen to any man because loving God comes with many benefits, just as in the life of Mr Paulsen. He directs you, sustains you and makes his provision sufficient for you. I pray that this marriage will continue to blossom and grow in God's love. Beautiful prayer. I pray that we reciprocate God's love in our own lives too. Amen in Jesus' name. I think that number three is my favourite, if we truly love God, we will desire to spend time with him, in fact we will be desperate for it! I totally agree, Alice! Thanks a lot for dropping by and stay blessed! This is wonderful! And isn't it the true purpose of marriage to show God's heart for us? Thank you for an amazing post. Yes, it is, Ginabad! Thanks a lot for dropping by and remain blessed! Beautiful example about God's love for us, and how we grow to love Him. Great post Kenneth1 Loved it! Hello April! Glad to have you here. God bless you very much. This is a beautiful post, Edith. So lovely to read. Glad you liked it, Penny! Praise the Lord! God's grace with your writing and everything else in Jesus' name. A marriage with God's love is everything, a place where you can learn to love God and your partner more. This is beautiful. When we decide to make God the foundation of our homes and marriages everything falls in place. Nice one! Any spouse that loves god, would leave a God fearing life that would as well manifest in their marriage. Mum I love this, atleast this would keep so many people in marriage. God is love and love is God. THIS IS A REAL GEM OF ADVICE COMING FROM A MAN OF GOD. WE SHOULD LISTEN TO GOD, AVOID DOING ANYTHING THAT HURTS HIM SUCH AS SIN, SPEND QUALITY TIME WITH HIM IN PRAYER AND WORSHIP AND DEVOTE OUR LIVES TO HIM. WE SHOULD ALSO FIND TIME TO LISTEN TO HIM AND AVOID DOING THE TALKING AT ALL TIMES. WE SHOULD LEARN TO PRAISE AND THANK HIM AND NOT ALWAYS COMPLAINING AND WHINING ABOUT HIS LOVE. loving our spouse is just like loving God. he deserves all our time, attention, praise and commitment at all times. if we feel we can be unfaithful and bad towards our spouse, how much more the almighty God who has created us and loved us. we should learn that God is real to us and treat him better than we do our spouse and loved ones. he is the omnipotent and he deserves better than any human. We should love God with our whole heart (in spirit and truth),because he is the reason for our existence. Gods love is unlimited in our lives, we should know that God loves sinners but hates sin, we should always be committed. We should always appreciate the things he has done for us because if it were to be man we would pay for it. Wonderful post ma. One thing I learnt from this post is to always express my love for God. I will join this wonderful couple in closing my prayers with these words, “I thank you and I love You Jesus”. We also show our love for God through our actions and not just words. We do this by making sure we do his will and trying to please him first in all we do. This is wonderful ma. Loving God is the best thing that could ever happen to anybody. God is love and we all ought to know that. If we understand our commitment with God we can always learn to live in Peace with our spouse. Great post ma. I love the relationship of the couple with God. It is important and necessary to love God in our everyday life. In everything we do we should always try to reciprocate God's love. INSIGHT #5 – We listen to God and do as He says if we really love Him. Besides, God knows better than we do and wants only the best for us. I love this point because it is a major problem. We are too busy to listen to God nowadays. I pray that I will be able to hear God and do as he says cause he knows what is best for me. God bless you ma. When we have God as the foundation of our marriage it will never break. The closer we get to God the more we attract our opposite spouse spiritually and physically. The marriage grows and becomes stronger. There's a lot of wisdom in this post. Once God is the foundation of anything you are doing and you don't use him as your spare tyre, he will bless you beyond comprehension. it is true we have to make God the author and finisher of our marriage and doing so will make our marriage last. A marriage that is built on the foundation of God for) God is love )...that marriage will stand the test of time . This post gives insight of the love our father in heaven for us but we are not able to return the love the same way. We need to listen to GOD whenever he speaks to us like Paulsen did when his wife Christina advised him,when we heed God's counsel, our lives turn out better. what a wonderful post. We should learn to put God first in everything we do. Loving the Father is the first step to gaining salvation. This article is one of the best of its kind. We are found of begging God for this or that....this post encourages us to share our time with God in prayer and reading the bible. God bless Kenneth Paulsen and the beloved owner of this blog. 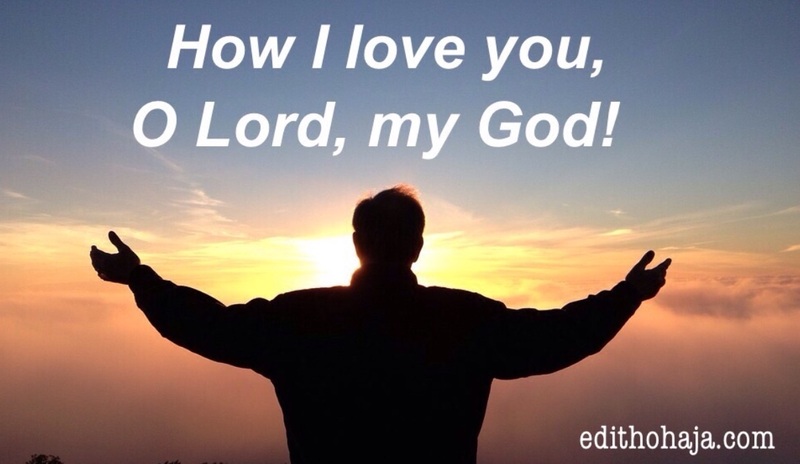 This post talks about the love God has for us. It is necessary to love God just the way he loved us. It good for us to express God's love and goodness in our lives.